This fund is now the Carillon Reams Low Duration Bond Fund. The fund seeks a high level of total return consistent with the preservation of capital. The managers may invest in a wide variety of income-producing securities, including bonds, debt securities, derivatives and mortgage- and asset-based securities. They may invest in U.S. and non-U.S. securities and in securities issued by both public and private entities. Up to 25% of the portfolio may be invested in high yield debt. The investment process combines top-down interest rate management (determining the likely course of interest rates and identifying the types of securities most likely to thrive in various environments) and bottom-up fixed income security selection, focusing on undervalued issues in the fixed income market. Scout Investments, Inc. Scout is a wholly-owned subsidiary of UMB Financial, both are located in Kansas City, Missouri. Scout advises the nine Scout funds. As of January 2013, they managed about $25 billion. Scout’s four fixed-income funds are managed by its Reams Asset Management division, including Low-Duration Bond (SCLDX), Unconstrained Bond (SUBYX), Core Bond (SCCYX, four stars) and Core Plus Bond (SCPZX, retail shares were rated four star and institutional shares five star/Silver by Morningstar, as of May, 2013). Mark M. Egan is the lead portfolio manager for all their fixed income funds. His co-managers are Thomas Fink, Todd Thompson and Stephen Vincent. From 1990 to 2010, Mr. Egan was a portfolio manager for Reams Asset Management. In 2010, Reams became the fixed-income arm of Scout. His team worked together at Reams. In 2012, they were finalists for Morningstar’s Fixed-Income Manager of the Year honors. None yet reported. Messrs. Egan, Fink and Thompson have each invested over $1,000,000 in their Unconstrained Bond fund while Mr. Vincent has between $10,000 – 50,000 in it. $1,000 for regular accounts, reduced to $100 for IRAs or accounts with AIPs. 0.40%, after waivers, on assets of $32 million (as of May 2013). The fund’s assets are growing briskly. The Low Duration Strategy on which this fund operates was launched July 1, 2002 and has $2.9 billion in it. The simple act of saving money is not supposed to be a risky activity. Recent Federal Reserve policy has made it so. By driving interest rates relentlessly down in support of a feeble economy, the Fed has turned all forms of saving into a money losing proposition. Inflation in the past couple years has average 1.5%. That’s low but it’s also 35-times higher than the rate of return on the Vanguard Prime Money Market fund, which paid 0.04% in each of the past two years. The average bank interest rate sits at 0.21%. In effect, every dollar you place in a “safe” place loses value year after year. Savers are understandable irate and have pushed their advisers to find alternate investments (called “funky bonds” by The Wall Street Journal) which will offer returns in excess of the rate of inflation. Technically, those are called “positive real returns.” Combining a willingness to consider unconventional fixed-income securities with a low duration portfolio offers the prospect of maintaining such returns in both low and rising interest rate environments. That impulse makes sense and investors have poured hundreds of billions into such funds over the past three years. The problem is that the demand for flexible fixed-income management exceeds the supply of managers who have demonstrated an ability to execute the strategy well, across a variety of markets. In short, a lot of people are handing money over to managers whose credentials in this field are paper thin. That is unwise. This strategy is quite flexible. Mark Egan and crew [have delivered] excellent long-term returns here. Reams isn’t a penny-ante player, either: The firm has managed close to $10 billion in fixed-income assets, mainly for institutions, for much of the past decade. Like some of its fellow nominees, the team followed up a stellar showing in 2011 with a strong 2012, owing much of the fund’s success this year to decisions made amid late 2011’s stormy climate, including adding exposure to battered U.S. bank bonds and high-yield. Unlike the other nominees, however, the managers have pulled in the fund’s horns substantially as credit has rallied this year. That’s emblematic of what they’ve done for more than a decade. When volatility rises, they pounce. When it falls, they protect. That approach has taken a few hits along the way, but the end result has been outstanding. Annualized Performance as of March 31, 2013. The Low Duration Fixed Income Composite was created July 1, 2003. The pattern repeats if you look year by year: he has outperformed his peers in six of the past six years and is doing so again in 2013, through May. While he trails the Vanguard fund above half the time, the magnitude of his “wins” over the index fund is far greater than the size of his losses. They’ve succeeded when you most needed them. The fund made money during the market meltdown that devastated so many investors. Supposedly ultra-safe ultra-short bond funds imploded and the mild-mannered short-term bond group lost about 4.2% in 2008. When we asked Mr. Egan about why he managed to make money when so many others were losing it, his answer came down to a deep-seated aversion to suffering a loss of principle. One primary reason we outperformed relative to many peers in 2008 was due to our investment philosophy that focuses on downside risk protection. Many short-term bond funds experienced negative returns in 2008 because they were willing to take on what we view as unacceptable risks in the quest for incremental yield or income. This manifested itself in many forms: a junior position in the capital structure, leveraged derivative credit instruments, or securities backed by loans of questionable underwriting and payer quality. Specifically, many were willing to purchase and hold subprime securities because the higher current yield was more important to them then downside protection. When the credit crisis occurred, the higher risks they were willing to accept produced significant losses, including permanent impairment. We were able to side-step this damage due to our focus on downside risk protection. We believe that true risk in fixed income should be defined as a permanent loss of principle. Focusing on securities that are designed to avoid this type of risk has served us well through the years. Mr. Egan’s team has been at this for a long time. Their discipline is clear, has worked under a wide variety of conditions, and has worked with great consistency. For investors who need to take one step out on the risk spectrum in order to escape the trap of virtually guaranteed real losses in money markets and savings accounts, there are few more compelling options. 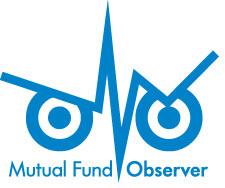 © Mutual Fund Observer, 2013. All rights reserved. The information here reflects publicly available information current at the time of publication. For reprint/e-rights contact us. This entry was posted in Old Profile on June 1, 2013 by David Snowball.